Twice a month we bring you the best links from around the internet to help you grow your real estate business. Here’s what we’ve found for you in our latest installment. Even though real estate is a great career for women and does have a smaller pay gap than the national average, it’s not moving very quickly to close the pay gap that does remain. 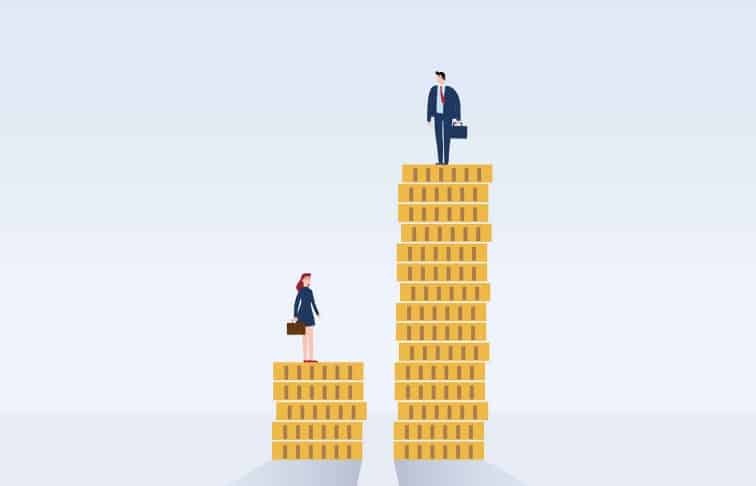 A recent white paper published by Commercial Real Estate Women estimates that at the current rate it will take until 2119 for women and men to be paid equally. The CREW white paper summarizes years of studies about women in the workforce globally. If you want a break from obsessing over the domestic real estate bubble, here’s an idea: watch this documentary on YouTube about what’s happening to China’s real estate marketing. Back in 2012, China’s real estate market was booming, thanks in part to a rising middle class in the country and more high net-worth Chinese than ever. Is that still the case. Well… not really, according to the film. It follows the main character, Yana, who moved from the countryside into Chongqing and started a business marketing bringing foreign stars to PR events within the real estate industry. “Stars” is a term used loosely here. It basically just refers to foreign-looking people who have some performing talent—the rest of the backstory can be made up on the spot by Chinese PR professionals. Using this outlook into the Chinese real estate industry, the film walks through the boom and decline of certain Chinese markets. It’s a story you probably won’t see portrayed in this way anywhere else. A lot of big names appear on this podcast, such as Tony Robbins who got two whole episodes at the start of the year. With weekly episodes, you’ll never run out of new podcasts to listen to and each one has more than enough to keep you motivated and on track throughout the week. The Twitter handled @MarketingProfs is where you can find Ann Handley, the head of content at Marketing Profs. It’s a treasure trove of marketing insights, she Tweets many actionable articles from how to rock a presentation to how to understand Instagram. Now’s the time to get your ducks in a row and file your taxes so you can stay ahead of the game. If you have questions about taxes for real estate professionals check out our handy post of FAQ real estate tax questions we’ve answered for you.